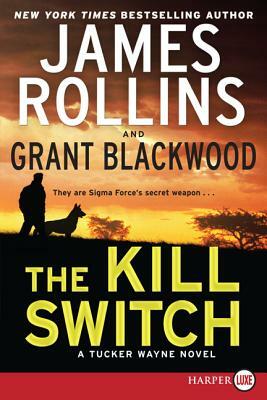 From bestselling authors James Rollins and Grant Blackwood, the first installment in an exciting new thriller series based on the Sigma Force novels featuring former Army Ranger Tucker Wayne and his partner, Army working dog Kane, introduced in the New York Times bestseller Bloodline and the e-original story "Tracker." Former Army Ranger Tucker Wayne and his military working dog Kane are recruited by Sigma Force to extract a Russian pharmaceutical magnate from Siberia. A scientific genius, the drug tycoon holds the biological key to a new weapon system, a danger engineered from the ancient past to terrorize the modern world. From the frozen steppes of Russia to the sun-blasted savannahs of Africa, Tucker and Kane must piece together a mystery going back to the origins of life on Earth—before the ancient peril can destroy the heartland of America, and with it, all of humankind. In addition to his New York Times bestselling collaborations with Clive Cussler and Tom Clancy, Grant Blackwood is the author of three novels featuring Briggs Tanner: The End of Enemies, The Wall of Night, and An Echo of War. A U.S. Navy veteran, Grant spent three years as an Operations Specialist and a Pilot Rescue Swimmer. He lives in Colorado. “The science... reads like the best of Michael Crichton. The machinations of government read like the best of David Baldacci. And the action and thrills read like the best of Clive Cussler. Rollins takes the best of all of these and creates an amazing thriller unlike any other.